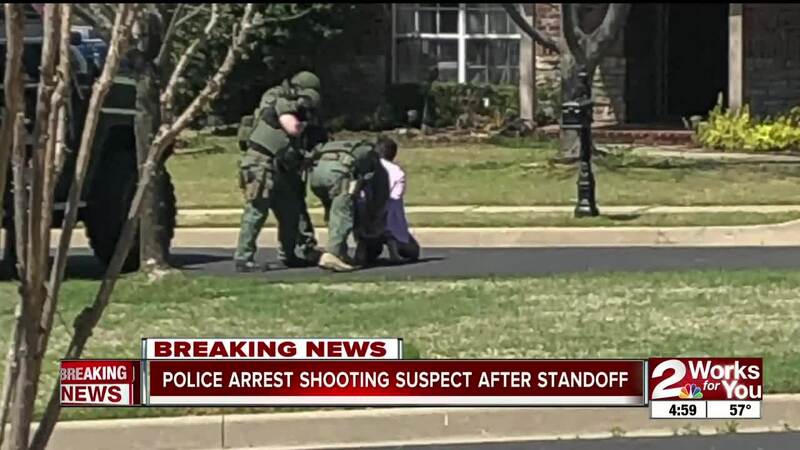 BROKEN ARROW, OK (KJRH) — Broken Arrow Police Department's Special Operations Team has taken a man into custody after a nearly three-hour standoff. The man, who was armed and had barricaded himself inside a home, was wanted in connection with the shooting of a 16-year-old girl in Tulsa. The suspect was identified as Mdabu Montazir. Officials said at 11:05 a.m. they were requested to assist Tulsa police with a warrant in the 3700 block of North Narcissus Avenue. When officers arrived, they made contact with the subject who is wanted in connection with a shooting of a girl last week. Police said when the suspect saw police he initially barricaded himself inside the residence and refused commands. Eventually, the man surrendered. Police said the suspect was the only one who was inside the home.